For the first time ever, the Centers for Disease Control and Prevention is publishing weekly flu forecasts on its website. The data model is led by researchers at the University of Massachusetts Amherst. Up until this year, CDC would post information about diagnosed flu cases. The new model is more like a weather forecast, and predicts flu activity region to region. Nicholas Reich is a biostatistician at the UMass School of Public Health, and is the lead researcher for the FluSight Network. Reich said the forecast is based on some historic and some real-time digital data. “Data from Google search activity, data using natural language processing on Twitter to try to identify health related trends,” he said, adding that Wikipedia page loads are also used. Prepared with a forecast, hospitals may be better able to staff emergency rooms, Reich said. And he suggested public health campaigns can be better-timed when reminding people to get their flu shot and cough into their elbows. According to the forecast using the new model, flu activity is likely to increase around New England over the next few weeks. There is a 65 percent chance the highest flu activity for this season will occur by the end of January, and a greater than 95 percent chance that the highest flu activity will occur by the end of February. 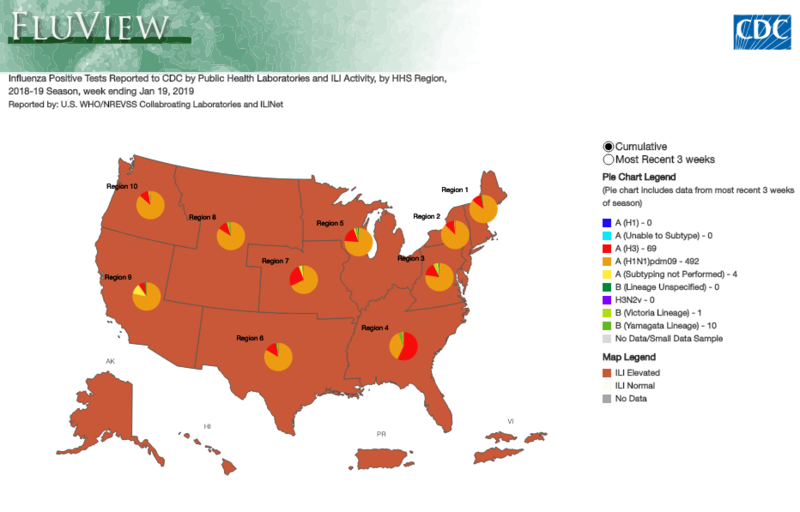 A CDC web tool provides a flu "forecasting" model. 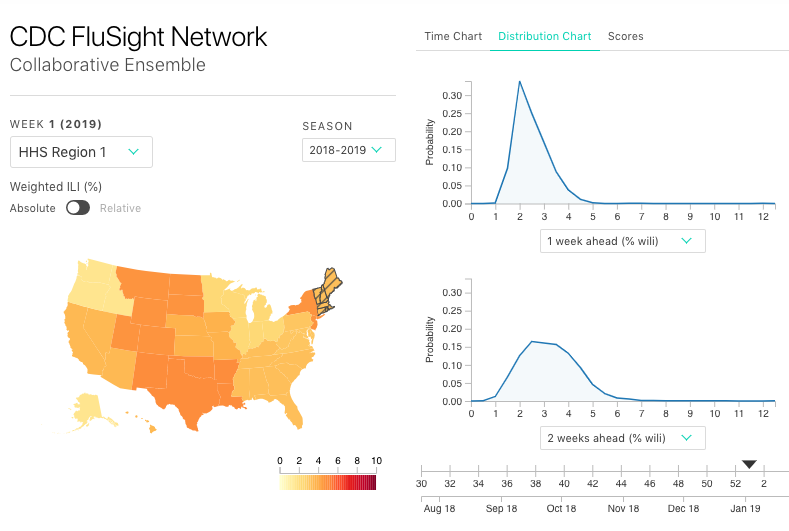 A web tool called FluSight Network aims to predict flu activity in the U.S. by region.